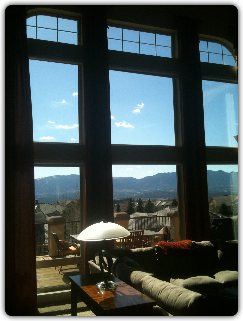 Octopus Window Cleaning is located in the beautiful city of Colorado Springs, home to the awe-inspiring 14,115 ft Pikes Peak. With such amazing mountain scenery right in our own backyard, most homes in the area are designed with an abundance of windows with the purpose of taking in as much of the view as possible. And keeping that view crystal clear is an important goal for most home owners! However, actually cleaning all those windows is a BIG job even for the most tenacious do-it-yourself homeowner- not to mention dangerous, time consuming, and hard to get the desired results. Thats where we come in. Octopus Window Cleaning has the experience and technology to get the job done right- EVERY TIME! In fact, we are so confident in our service that we offer a 100% Money-Back Satisfaction Guarantee to back it up. Our unique service plans make having clean windows easy and thats the most important part. When you look at the view through your window and all you see it dirt, its already too late. 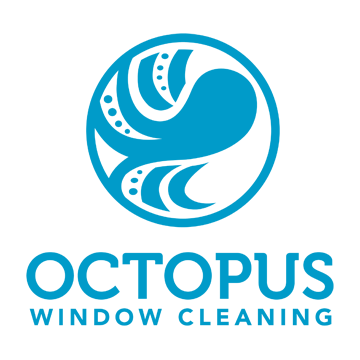 With Octopus, the task of remembering to get your windows cleaned becomes automatic, because we do it for you. We custom-tailor plans to suite your needs. Please take a few minutes to browse our website and see how easy clean windows can be. Estimates are available anytime online or give us a call at 719-339-0094 to set up an appointment to meet in-person. Colorado Springs, Manitou Springs, Widefield, Security, Monument, Falcon, and Peyton.